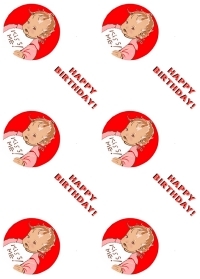 Printable Birthday Gift Wrapping Paper - Birthday gift wrap features a baby girl in pink and the words, "Happy Birthday!" Make a selection below. This birthday gift wrap can be printed from your web browser or the Adobe Acrobat PDF reader and is provided free for your personal use. 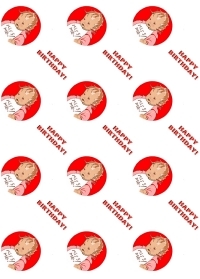 This small print birthday gift wrap can be printed from your web browser or the Adobe Acrobat PDF reader and is provided free for your personal use..